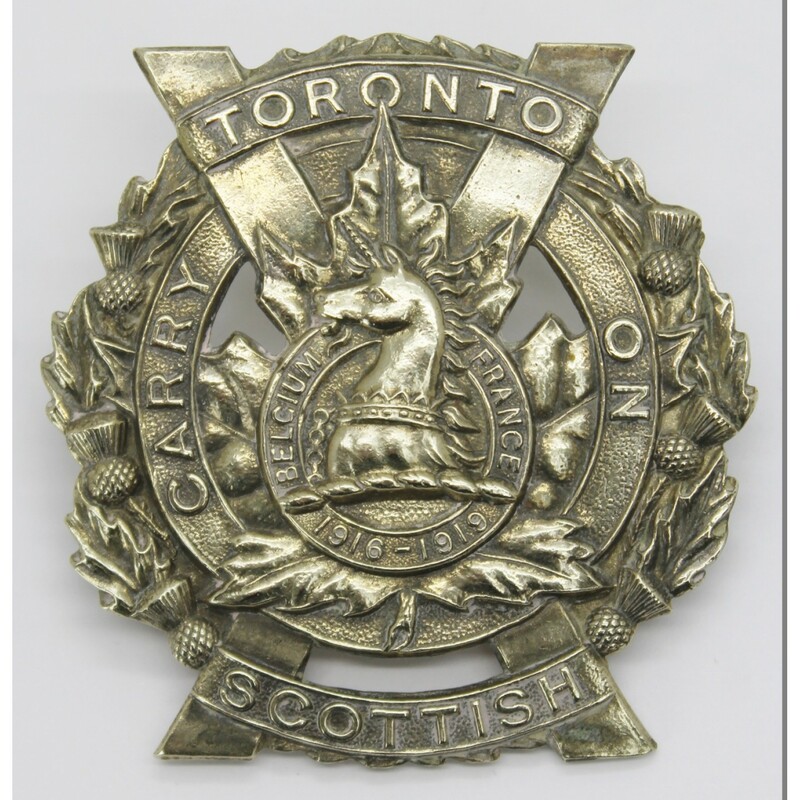 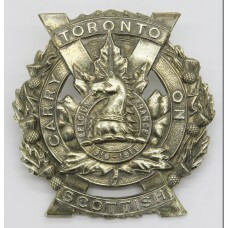 A white metal cap badge for the Canadian Toronto Scottish. 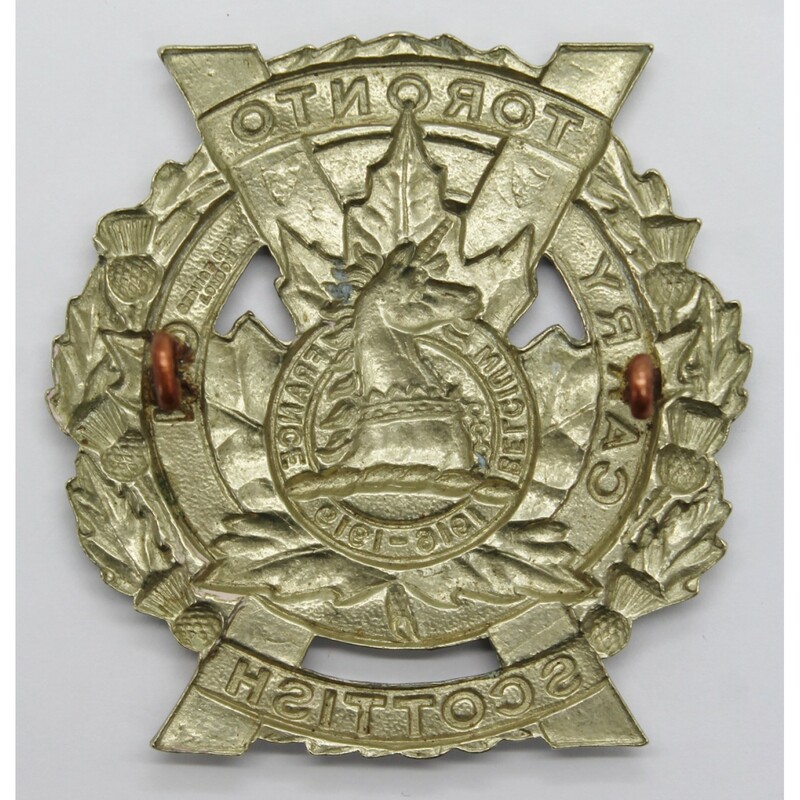 Marked 'Service Supy, London' on the reverse. 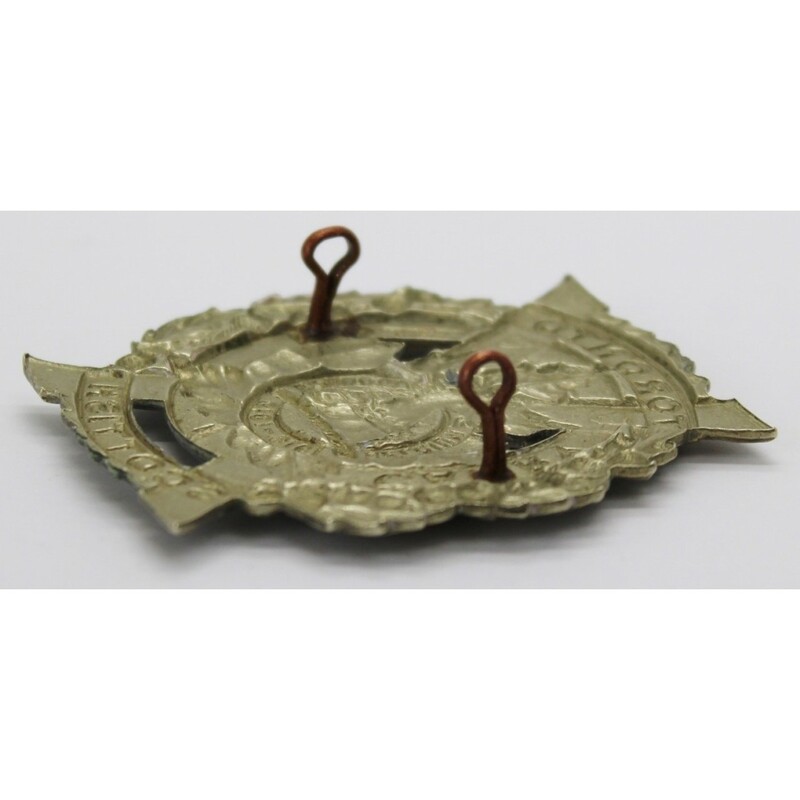 In good condition complete with lugs.